PESHAWAR: Tourism Corporation Khyber Pakhtunkhwa (TCKP) has arranged the screening of a film ‘Project Peshawar’ despite the fact that it was based on a senseless theme that depicted the Pakhtuns as undignified countrymen who can stoop very low for money. Senior artists and cultural critics demanded from the KP government to explain that how the film will promote tourism and culture, and why such a huge amount was spent on the screening of an anti- Pakhtun movie? Although the officials of TCKP knew that the film has nothing to do with the promotion of Pakhtun culture and that it will deter foreign tourists to come to the city, it was still advertised through press releases that the film is promoting tourism and the sites of the province. After the screening of the movie the TCKP, however, changed its stance saying that the purpose of screening was just to promote new talent and that the corporation has nothing to do with the film. 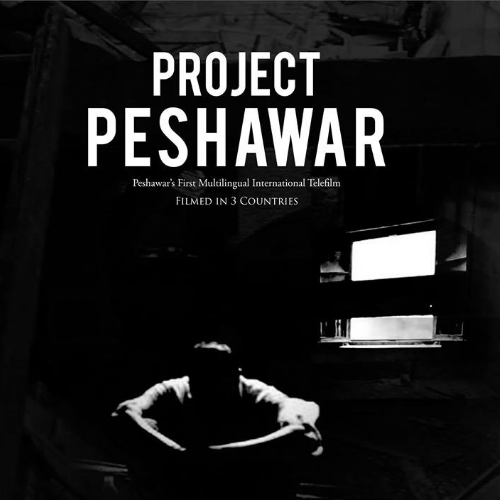 “TCKP has nothing to do with ‘Project Peshawar’, it was the production of Jeans Films,” said an official of TCKP. “We have just provided an opportunity to the new entrants to show their talent,” he added. On the stage, senior film artists including Asif Khan were also insulted. He was invited and was present in the hall when the makers of the new short film maligned and accused the Pashto filmmakers of producing ‘obscene’ movies. “It is not a good omen to declare the work of others as terrible,” said Asif Khan. He said, “They should not boast about their movie until they face the market.” The senior artists of the industry support the new talent, and appreciate them in producing quality films, he added. He said that the Pashto filmmakers have produced many good movies in the past as well, despite the fact that there was no high-tech equipment available as it is available in presently. Senior actors also demanded that the KP government should explain why money is being spent on such activities and why the actual artists, who have worked for decades, are under financial constraints due to the non-availability of work. “We demand the TCKP and KP chief minister to explain why an anti-Pakhtun culture film was screened at the Nishtar hall under the banner of TCKP,” said Javed Babar, a senior drama artist. “We should be told that how this film will promote our tourism and culture,” he added.